Kids! 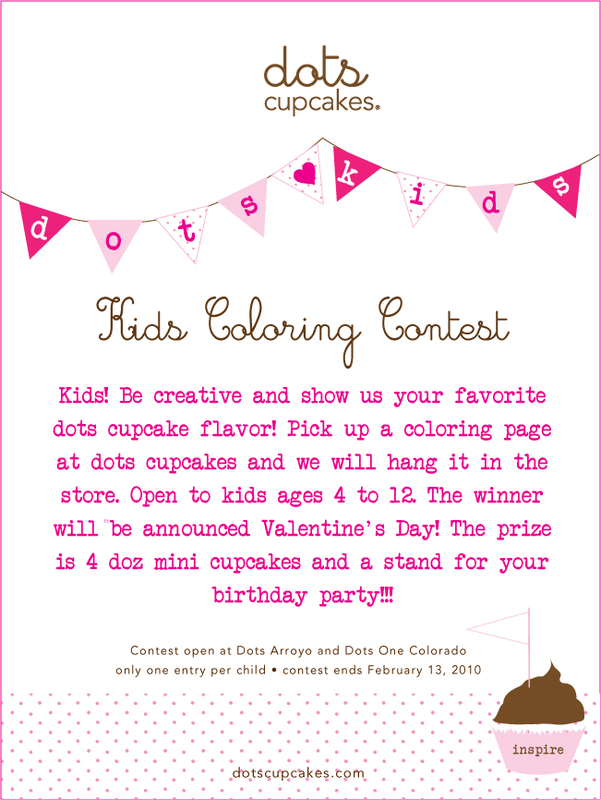 Be creative and show us your favorite dots cupcake flavor! Pick up a coloring page at dots cupcakes and we will hang it in the store. Open to kids ages 4 to 12. The winner will be announced Valentine's Day! The prize is 4 doz mini cupcakes and a stand for your birthday party!! !